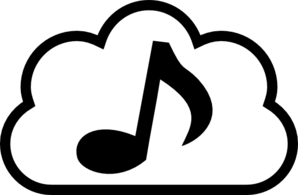 This post concerns new and future music making cloud based software and services. And please be sure to check the Video page link above to check my new YouTube music videos. The future of mobile music production, on the whole, looks very bright and the future of music production in general looks to occupy space in The Cloud. Thus…a bright and cloudy future. (https://discover.propellerheads.se), which is stated as still being in Beta testing phase. Discover is a cloud based service for users of the developer’s PC/Mac software Reason, and/or their iOS apps Figure and Take. Collaboration is the focus for cloud based music services and the providers know that ease of use is the key to success. Access to Propellerhead’s Discover is built into each of the titles mentioned above so a song idea started on an iOS device in Take or Figure can be imported easily into Reason for full expansion. Another aspect is the community share: post up your Figure or Take song and let others remix it. Or find a Figure tune that grabs your attention and import directly into your iOS device and do with it what you will. A great example of a successful community share is fellow iOS blogger, Jakob Haq’s song “Nebula Rasa” which has over 90 versions remixed and uploaded on Discover. I just now downloaded Jakob’s original tune and am going to attempt my first ever remix of someone else’s music. This is just something I never thought of doing but I figured (pun intended) why not give it a try. Since Figure can only hold up to 8 bars of music per tune and has three tracks, it’s not like a huge intimidating work to mess with. And it’s the overall ease of use and simplicity that allowed me to even think about doing a remix. I say Propellerhead has succeeded, at least with me. The recent NAMM show was chock full of cool stuff, and some very interesting announcements. Beyond the hardware, and just beyond the software — Avid, of Pro Tools fame — made a couple of announcements that got my attention. Though not directly iOS related this could be significant for iOS musicians, or anyone like myself that did not come from a desktop music production background but does not discount the idea of its usage. Avid Everywhere is to be a cloud based community for sharing tracks, for remixing and all kinds of stuff, somewhat like Propellerhead’s Discover mentioned previously. 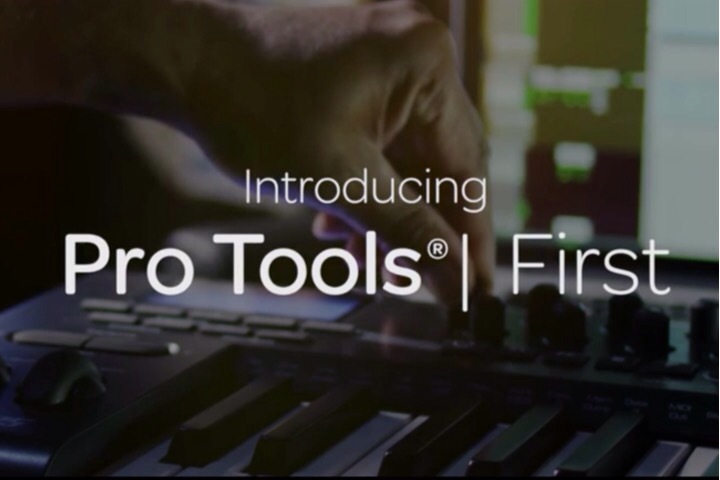 This will be tightly integrated within the Pro Tools DAW software including a new free version called Pro Tools: First. Avid Everywhere is our strategic vision for helping content creators and media organizations connect with consumers more powerfully, efficiently, collaboratively, and profitably. Pro Tools: First has most of the same features as Pro Tools, the notable differences are the track counts, with Pro Tools First having up to 16 mono/stereo audio tracks, 16 MIDI tracks and 16 Instruments tracks for a maximum of 48 tracks compared with hundreds of tracks for Pro Tools. Pro Tools First comes with an introductory amount of free cloud storage, enabling you to save and sync up to three projects at a time, so you can always pick up where you last left off—on any Mac or PC with Pro Tools First installed. Many, like myself, have learned (or are learning) recording and mixing on iOS. A PC with Pro Tools in a free version should enhance what has been learned and help the music to sound better. The reduced number of tracks and effects are stated very clearly but heck, with current iOS music production set-ups this doesn’t look that limiting. Nothing is really free…and so for some this may be a problem: Pro Tools First will use cloud storage for saving projects (limited to three for free). I don’t care (right now) about that, but I see where it is part of a nice and easy path for customers to follow for upgrades and expansions. Getting a free DAW is not new: Other desktop DAWs have trial versions but they usually expire after 30 days. Better than that are things like Pro Tools lite, Cubase lite or whatever they call it…and Ableton 9 Lite that I have. These are not demo versions, but are limited and usually come free with the purchase of something else, like a keyboard. With Live 9 Lite, there are eight tracks for audio and MIDI, a VST host, and has a few nice sounds which make it a limited in scope yet functioning DAW. Pro Tools First should far exceed this. Avid should get a lot of attention from entry level music producers as well as those that have been limited by the cost of most professional level DAWs. And the idea of building community around all of their versions of Pro Tools is a brilliant marketing strategy. Bring in the noobs with shiny free stuff, get them making and sharing content and as they do, they get exposed to the bigger and better tools. The increasing consumer need for upgrades is built into the system in a satisfying way — not forced upon them (at least from what I understand of their new in app purchase system, but I could be wrong). In music tech I see increased compatibility with nearly every release and not just cloud based. We have iOS music apps that can export projects into desktop DAW formats such as Korg:Gadget’s ability to create Ableton Live files. Several iOS apps are built exclusively for remote control of desktop DAWs or music hardware. Apple has brought iOS and OSX (Mac) closer together and are making it easy to do continuous work on any device with their Handoff technology (not integrated with music apps yet, that I know of). Integrating mobile to desktop, desktop to cloud, and back to mobile is the way things are going with computing in general and music tech is coming right along too. If this allows for more creativity, productivity, or both — then I welcome the new methods and tools and am ready to explore. Another bit of music tech news from NAMM that caught my attention was the announcement of a cloud based automated audio mastering service. I got this from a SonicState.com video from NAMM. That idea is too vague for me to think about right now, but it’s another cloud service that is coming to a future near you. Nebulus is the only cross-platform, realtime music collaboration solution, enabling musicians to create songs together in an interactive arrangement suite. We bring cloud collaboration to music production in a way that has never been done before. Another cloud based site is from PreSonus, makers of great audio equipment. They run their own Soundcloud kind of site but I don’t think it is geared towards collab. The foundations are being laid for us to work and live more in the cloud and I think some extra help from the cloud is okay for me, but beyond that I am not so that I need to reside in the cloud. Ownership rights of songs, and now song fragments (or whatever) may become an issue, but the sentiment towards sharing seems very strong right now so perhaps I’m over thinking this. However, let’s see what happens (and see where the money flows) with the first cloud-based-shared-creation hit song.